For open account Safety Source customers. 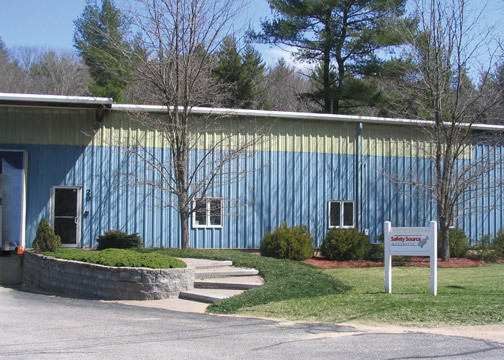 Safety Source was established in 1984. We are a family owned and operated company with a sales staff that averages 30+ years of industrail safety experience. 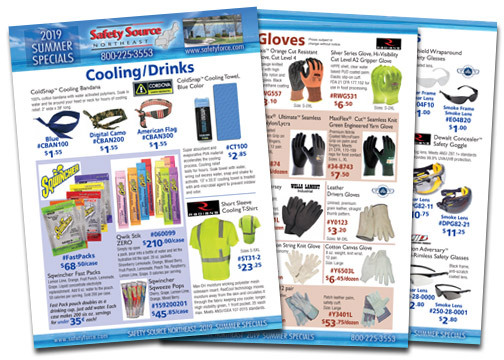 Safety Source offers simple one-price pricing, no minimums, and many items are available in broken case quantities. We offer additional discounts for high volume purchases. We accept VISA, MasterCard, and American Express offline credit card transactions. Call us toll free 800-225-3553 during business hours Monday-Friday 8AM - 5PM EST. Download 2019 Winter Specials Brochure. Our Winter Specials feature winter liners, winter boots, studded boots, steel toe knee boots, winter lined gloves, driver's gloves, knit gloves, coated gloves, insulated foam coated gloves, thermo gloves, hi-visibility clothing, fleece jackets, and hi-viz bomber jackets, and more! Click on the headings below for details about our Safety Products and services. Rx Made Easy by Hoya (formerly 3M). Customers can quickly place their rx safety eyewear order and have it filled through a network of partnered independent eye care professionals nationwide. Click here to access Rx Made Easy online. How do you protect your lone workers? Grace lone worker systems provide an immediate notification of a worker in distress. Click here for details about Grace Lone Worker Safety Systems. Safety Source - Northeast is partnered with Accuform Signs, a leading global manufacturer of custom signage and stock safety signs, such as traffic signs, road signs, OSHA safety signs, tags, and labels. Click here for personalized custom signs. Click here for stock safety sign products. 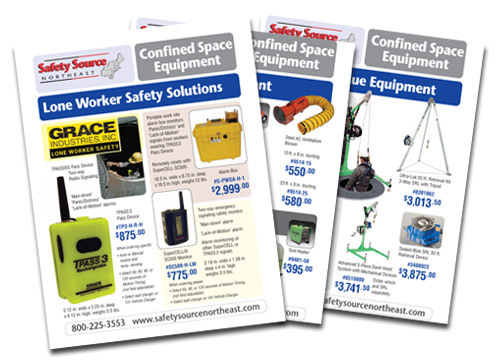 Safety Source - Northeast offers a full line of Confined Space Equipment, from lone worker safety solutions, to ventilation equipment, manhole accessories, and retrieval/rescue products. Download Lone Worker Safety brochure.